A priceless image Jennifer snapped at a lookout point in Lisbon — the anger in the spraypainted statement is only slightly undermined by the awkward grammar. I had a little debate prepared about the truthiness of that statement, but I already met my daily political quota in the last post. 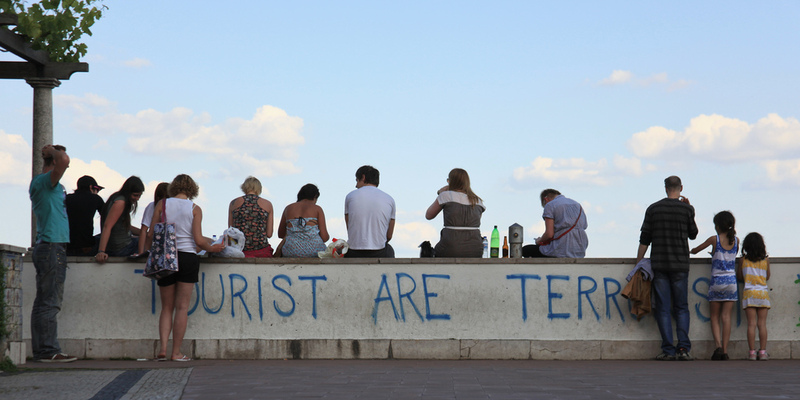 So, I put it out to you: Does tourist = terrorist?